With a view to keep momentum with business growth and to spread business network to remote areas, four public sector non-life insurance companies have decided to strengthen their workforce. 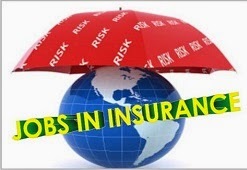 According to the sources, the four public sector non-life insurance companies - New India Assurance, United India Insurance, National Insurance and Oriental Insurance will recruit about 1,500 officials and 5,000 clerks during this fiscal year. “As a whole, each of the four State-owned non-life insurance companies will recruit 1,000 officers and 10,000 agents on a yearly basis for the next five years from now on," Chairperson of the General Insurance Public Sector Association (GIPSA) and New India Assurance CMD Mr. G. Srinivasan said.